I had a tough day weeding our meadow the other day, the culprit was Gutierrezia also known as Broom. 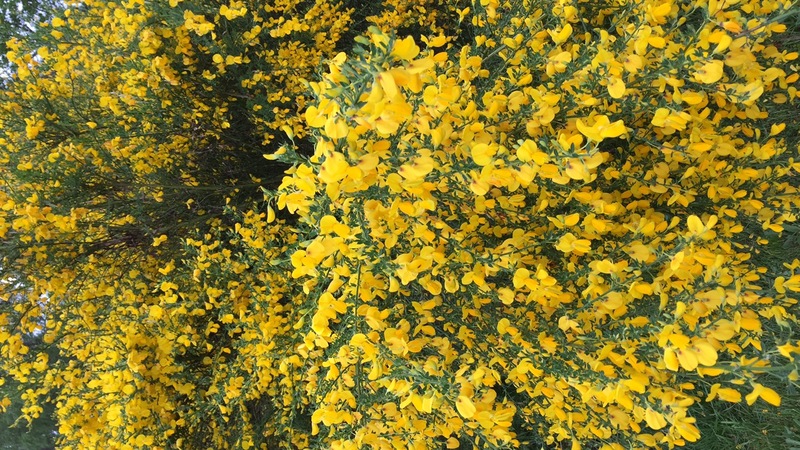 For me Broom is rather beautiful, those little bright yellow flowers brighten up any dull day, but you have to stay on top of it otherwise it can dominate the landscape. So my mission began to get rid of it because it was doing just that! At first, because the ground was fairly soft, I tried to pull the Broom out with my hands but I soon found out that in order to completely remove the whole plant I needed to loosen the soil around the root. Using a garden fork I loosened the soil and then pulled out the whole plant ensuring that the whole root system was uprooted. Toxic thoughts and emotions can consume and control your mind the same way Broom does if left to grow uncontrollably. For example fear was designed to protect us but it can also imprison us. As I was weeding the Broom I was reminded of the importance of going through a regular personal mental weeding process. I have to stop and examine my behaviour, my attitude and assess how it is serving me in my relationship with myself, with other people and my environment. Firstly, knowing my worth is very important. I have to believe without any shadow of a doubt that I am a winner because I can do all things through Christ who strengthens me, that I am beautiful no matter what society defines as beauty, that my life has a purpose even when sometimes it is not clear what it is. So even if a storm comes I know that whatever happens it will pass and I will get up again stronger and wiser. Then I have to examine the root of my toxic thoughts. Unforgiveness is a good example of a toxic emotion that can be deep rooted and take over your whole life. It took me several years to completely weed it out. After being hurt by someone close, I chose to live a life where I constantly justified the hate I felt towards them and that I had allowed to live rent free in my mind as something normal. Unforgiveness is like drinking poison and hoping the other person dies, almost always the person you are upset with is happy and enjoying their own life while you hold a grudge which scientificaly has been proven to cause physical illness ( Dr Caroline Leaf – Switch on your brain everyday). So I had to work hard at uprooting this weed called unforgiveness. It kept coming back when I saw the person that hurt me because I had not removed the whole root system. At some point we have to examine our mental process, ensure our environment is free from toxic behaviour and destructive people and if I am part of that I must self evaluate and self renew. For me that means surrounding myself with people who look at life with a ‘glass half full mentality’ rather than half empty. It means loving more and forgiving more than I get upset. It means spreading good news and giving my time to my community. Easter for me is a time where I intentionally re-set to factory settings. I believe some of these factory settings are love, kindness, generosity and respect. I was NOT created to be an inconsiderate neighbour, a difficult employee or hateful person. Easter is a reminder that I must kill off negativity in order to make room for a positive mindset, in order to renew my self I have to let worry and fear die / be uprooted and destroyed. Whatever Easter means to you I hope you take time to reflect on your mental garden, what weeds are taking over your meadow? What needs to stop in order for the best version of you to be born? Who is constantly telling you are not capable of greatness? Who is draining you instead of fuelling you up? Grab a garden fork and start loosening that soil…Happy Easter and Happy weeding! Blog written for Crosscurrents Magazine. 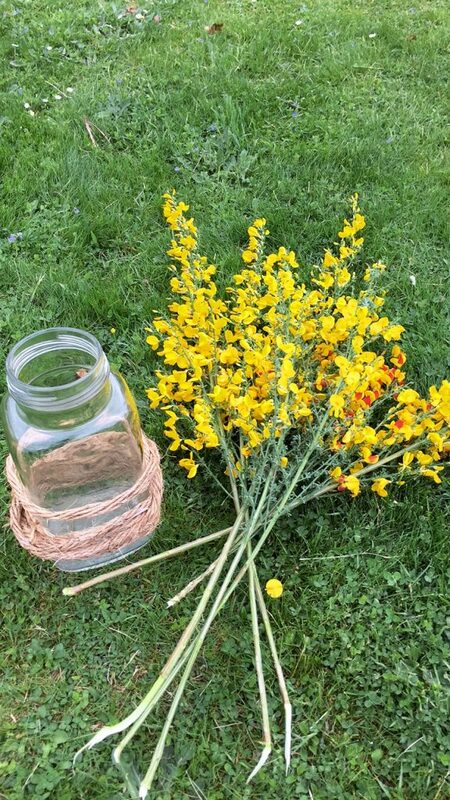 Freshly picked Broom from our garden. Reading this was so refreshing… you have a very unique way of writing and your pictures too tell a beautiful, content and peaceful story. I was speaking with a friend about just how your posts and pictures have kind and deep meaning.